Autumn has officially arrived … finally. Some people are sad to see summer come to an end – even though it unofficially wrapped up once school resumed. Whether you are one of those who looks forward to each new season or one who looks back sadly at the season just ended, look at this new season as an opportunity to teach your kids a life lesson about adapting. Our attitude toward change – even a changing season – sets an example. If we look for the good in any situation, we can help our kids learn to adapt to change and embrace new experiences. So rather than longing for those long, lazy summer days (Lazy? Right. ), here are some reasons for you – and your kids – to fall in love with fall. Appreciate the routine. Sure, we all enjoy the summer break. But the reality is that kids (and many adults) do better with a set routine. Find the fun. With the cooler temperatures, there are so many opportunities for outdoor fun. Football games and county fairs aside, it’s the perfect time to head out for a walk or a hike, to go camping, to play in the leaves. Find more ideas for kids and adults here. 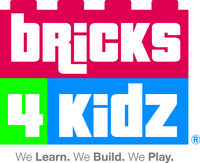 Check out Bricks 4 Kidz® classes. No matter your child’s interest – from robotics to video game design to roller coasters – they’ll love learning and playing with LEGO® Bricks. Our after school enrichment programs are a great way for kids to develop critical thinking skills, build self confidence and learn to be a better team member. It’s the beginning of the holiday season. Halloween, Thanksgiving, Christmas. Before you start planning what treats you’ll be making for each holiday, now is a great time to plan how you can reach out to others during this season. Halloween isn’t only about getting candy; it’s about sharing. Instead of trick-or-treating, maybe plan a neighborhood party. Don’t wait until Thanksgiving to talk to your kids about gratitude. Talk about it every single day. Start thinking today about personalized gifts and cards your kids can and give at Christmas. 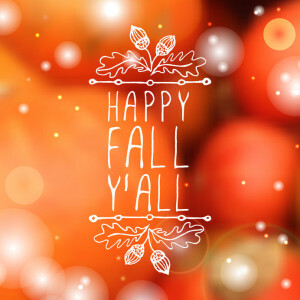 There’s so much more to autumn than pumpkin spice lattes, fall colors and tailgating. Embrace the change, and let your positive attitude be an example.